India on Wednesday achieved a historic feat in its space aspirations. Prime Minister Narendra Modi announced that India became the fourth nation to develop the technology to shoot down ‘Low Orbit Satellites’. 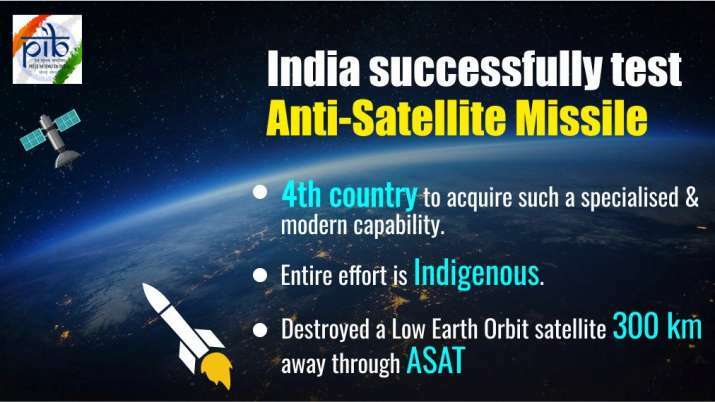 The operation which is being termed as ‘Mission Shakti’ was a complexed operation which required point blank precision to shoot down a satellite 300km away. It was successfully carried out by Indian scientists with the use of an ‘Anti Satellite Missile System’ said PM Modi.